Kasper Bjorke - Kasper Bjorke Quartet: The Fifty Eleven Project. Vinyl LP. Bleep. While Kasper Bjorke’s latest LP may be entirely instrumental, The Fifty Eleven Project is in fact a record with quite the story to tell. The week of the album’s release marks the second anniversary of Bjorke being given the all-clear from cancer. 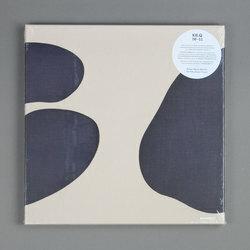 These eleven tracks are Bjorke’s attempt to represent in sound the physical, mental and emotional upheavals of the time he spent battling the disease. Along with his quartet he has constructed a record on the border of contemporary classical and ambient music that, while wordless, speaks great volumes. Fans of the Erased Tapes and Village Green labels should turn their attention this way.